Skirting Board Sizes - What Size Should I Buy? A question which I’m regularly asked, but which does not have a ‘one size fits all’ answer. Skirting board can come in almost any dimension you want, from the tiny to the giant. However, each unique property may lend itself more comfortably to a different size. This also has to be balanced against what you want to achieve with your interior. 1) What period does my property belong to? 2) How high are the ceilings? 3) What aesthetic am I trying to achieve in terms of colour and style? The age and style of your property is probably the most influential factor in deciding skirting height. The decision is easier if you are the owner of a period property. Period properties (Victorian, Georgian, Edwardian and Regency to name a few) all tended to be built with high ceilings, creating impressive, grand room spaces. 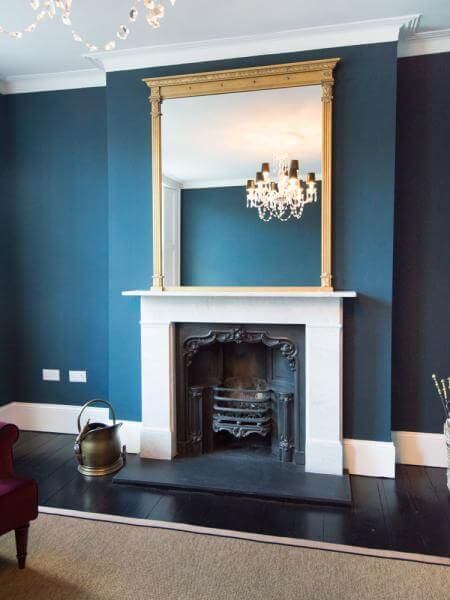 High skirting boards are an iconic feature in these historic properties as they usually feature large elaborate mouldings, which draw the eye. More importantly, taller skirting boards serve to keep the scale of larger rooms proportionately balanced. As I’m sure you will agree, a huge room would look strange with comparatively smaller furniture filling it – the same goes for skirting boards. 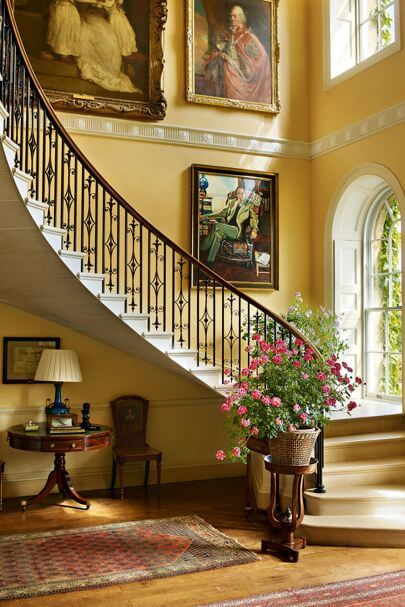 For these reasons, taller skirting is undoubtedly the way to go if you own a period property. I would say the 8”/200mm mark and above is normally a large skirting board size. Installing a larger board will bring continuity to the building design, by maintaining proportions with room sizes, and make for an intriguing feature around the room perimeters. Look at how these principles get bought together with the interior above. Tip: If you opt for a larger board, make sure that the shape that is machined onto the board is also large (proportionate to the board size), otherwise you could buy skirting that has a small 50mm shape with a large flat section underneath it. Moulded shapes are usually 50mm high, but larger shapes can be up to 100mm high. The larger size moulding will be better proportioned for boards specified taller. We offer a complete range of large skirting boards featuring a larger detailed profile, proportionate to larger skirting sizes. Since these periods, newer buildings have typically been built with far lower ceilings and been far less elaborate in design. They therefore tend to use far shorter skirting boards, usually up to the 6”/150mm mark, which are more proportionate with the rooms and ceiling heights. Although this tends to be the norm, it is by no means correct to assume that this is always the case. Like in the below image, I have found that modern buildings/interiors can look especially stunning with a larger skirting board, as it helps bring a greater depth of features to the interior design, which we will come back to in the next section. 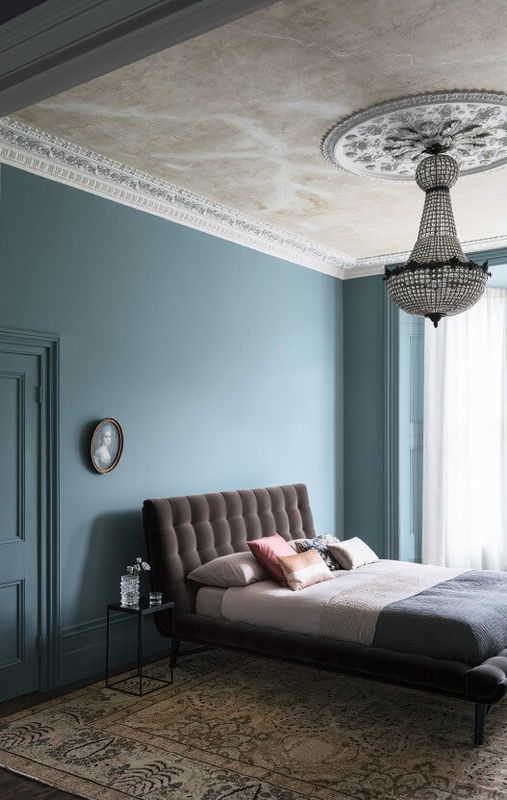 It should be pointed out that when your ceiling isn’t that high, tall skirting boards can make the ceiling feel lower than it really is – as they eat up the height of the exposed wall. This can be an issue if you have particularly low ceilings below the usual 2.4m, however if you can use a large skirting board they definitely deliver a strong feeling of quality through an interior. 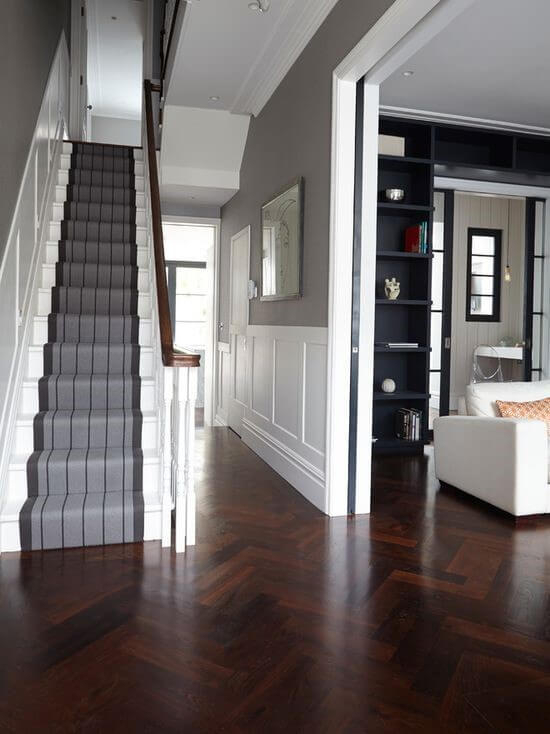 While property age can favour certain skirting board sizes, larger or smaller skirting boards can emphasise or detract from interior design principles which the height you choose. Simply put, taller boards create a bigger impact, while a smaller skirting can deliver a subtler effect. Here’s a couple of interior principles to think about. Using contrasting colours. 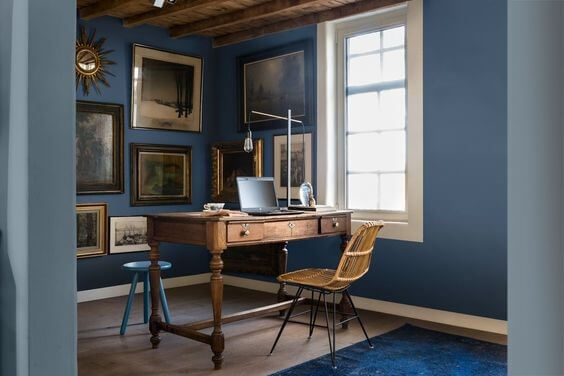 Skirting boards painted in contrast to your wall colour can produce a powerful aesthetic – especially when a strong wall colour is used. 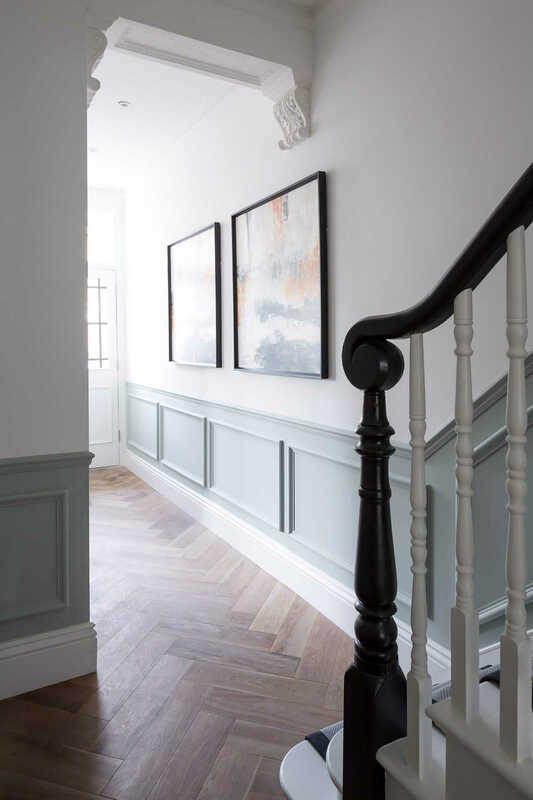 Using a larger skirting can help to deliver a bigger, more obvious contrasting impact, whereas using a smaller board can help restrict the effect. Therefore the balance that you are looking to strike will influence how tall you want your skirting board to be, and how prominently you want them to feature. Compare the two images below to get an insight. On the other hand using colour continuously across walls and skirting may impact on you size decision. If the skirting is supposed to be blending into the wall colour, it may mean that you only want to use a smaller skirting, since it will be a less obvious feature in the room anyway. However, painting the same colour does not render the skirting board invisible. 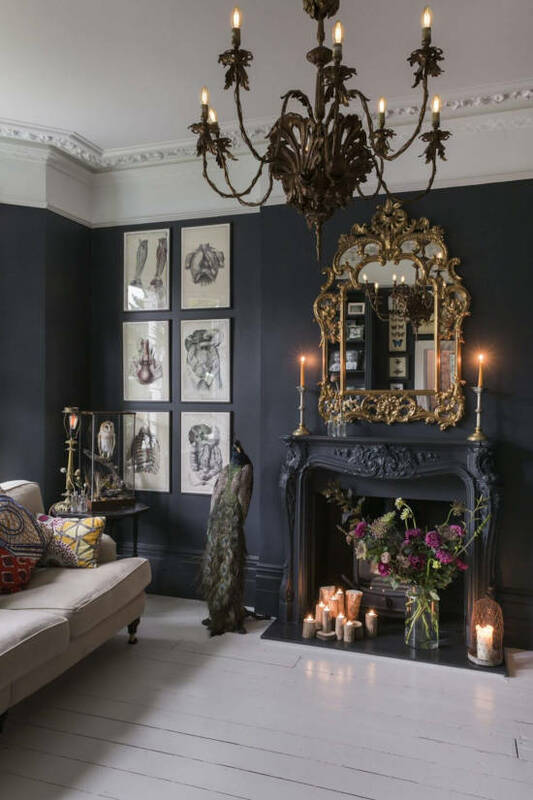 You may still want to make a prominent feature of the shape on the board – especially if they are going in a period property. In this case you may consider opting for a high skirting board so as to increase their presence within a room (like below). When it comes to the style that you are trying to achieve, skirting board can be made to fit into any scheme, but the shape and colour will also influence how they tie into a scheme. In a minimalist scheme skirting can be used to add layers of detail to a room that may otherwise feel empty, without adding a too great of a feature as a piece of furniture might. This presence can be increased by increasing their size (and complexity of shape although this is for a different post). See how the skirting boards have been used below in this way. Maximalist interiors usually feature very prominent pieces of furniture or decoration and are often the centrepiece of a room. These features do not want the eye drawn from them. Therefore smaller skirting boards can be more suitable to stop attention being drawn from these features, and ‘blend’ the skirting board into the background of the room. The selected board could also feature a plain design, be painted the same colour of the wall, and/or be smaller in size. Each of these factors would make it less conspicuous in a room. Check out how the interior below blends in its rather largeskirting board into the wall in order to draw the eye to more detailed room features. 1) Period properties are normally suited to larger skirting boards, while modern homes may be suited to more average and smaller sizes. 2) Larger skirting boards can deliver a stronger statement in a room, emphasise colours and add detail, whereas shorter boards can deliver a subtler effect to prevent attention being drawn from centre pieces. These ideas should help guide your choice when choosing a skirting board size, but how you choose to balance these principles is down to your own personal opinion and how you are going to be decorating the room going forward.